Afloat is part of a series of artworks with which Sonia Alins explores, in a special way, concepts such as surrealism and visual poetry. Besides that, the unique personality of this artwork is the consequence of a studied process of creation that experiments with the idea of generating, in a minimalist way, ethereal atmospheres through different levels of transparency. 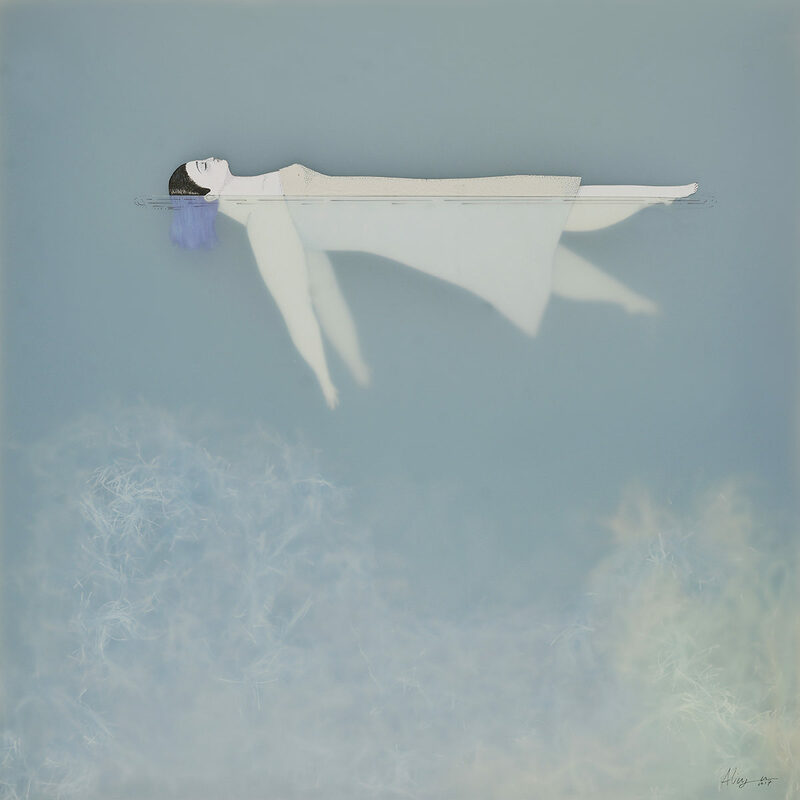 The result is a mysterious and delicate collage that contains a figure floating in an aquatic environment.